Hey everyone, this post is from Saga and Ida. 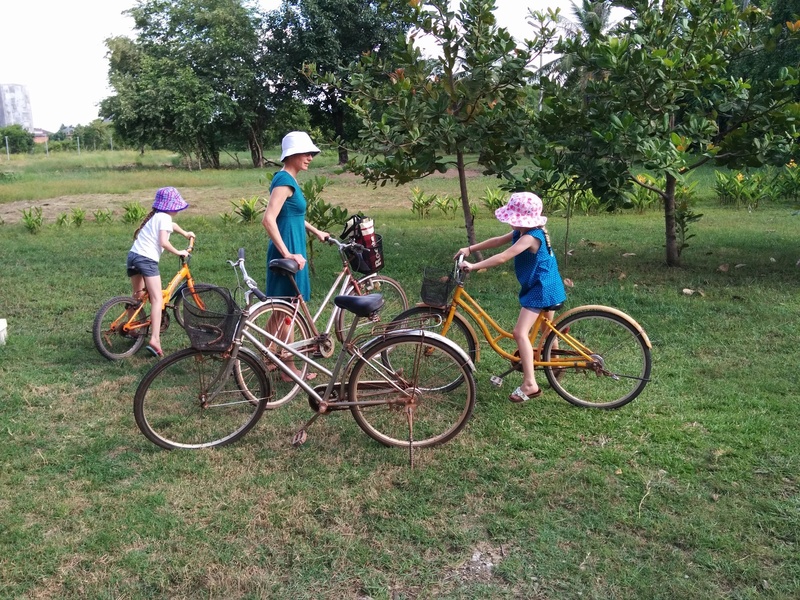 We’re having a great time in Kampot and we bike everywhere. Today we went to a bookstore and there were very beautiful things. 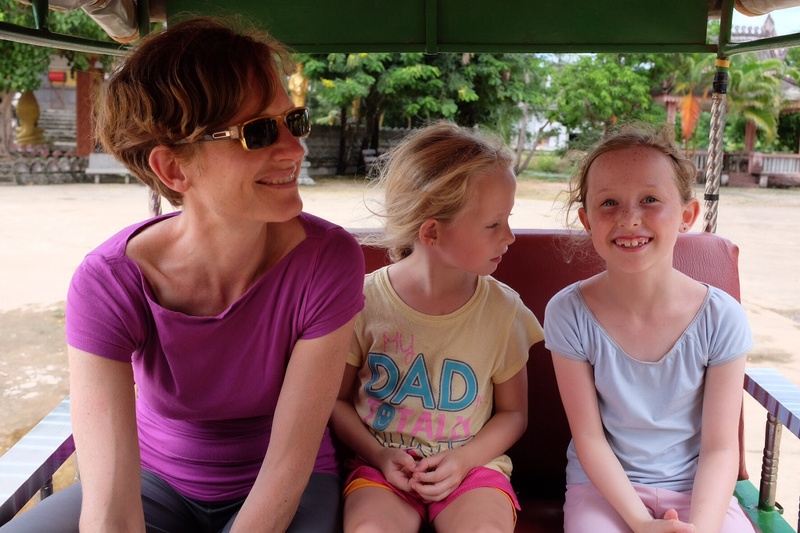 What we’re going to write about is how different Toronto is from Kampot. Below we are going to have an invisible table. 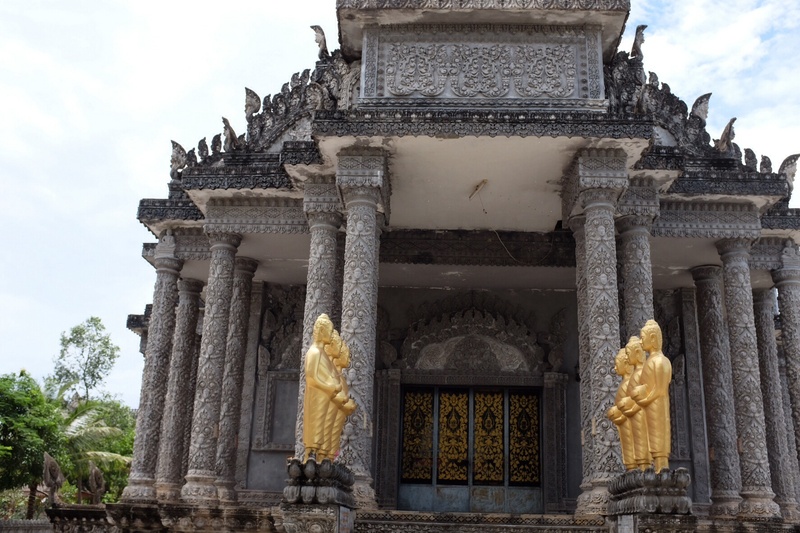 For each theme, we will show how Kampot is different from Toronto. I hope you enjoy our blog. – Insects: mosquitoes, ants, etc. Om Rien is an old man who guards our house. A tuk tuk is a motorcycle attached to a wagon and it’s kind of like a mini-taxi. This is from our experience and yours might not be the same. As you can see, it’s very different from Toronto, and busier! 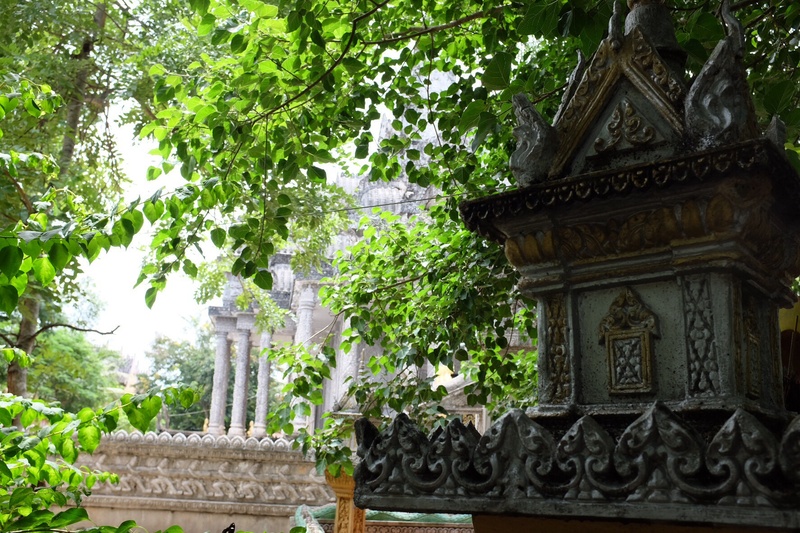 We visited a pagoda today. Such a big place; it was difficult to fit it into the frame. Here are some shots beginning with the main building. And so, here we are, at last, after all our dreaming and planning and talking. 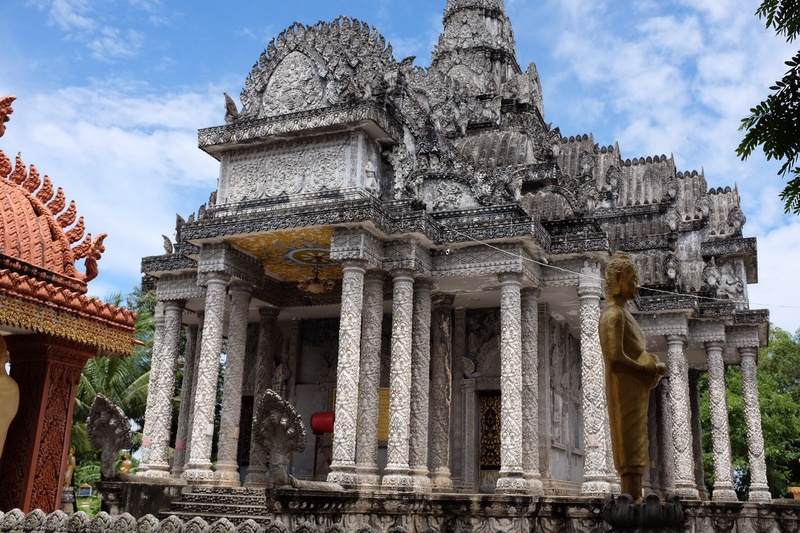 We arrived in Cambodia last week, rested up for a night in the capital and then drove straight to Kampot. 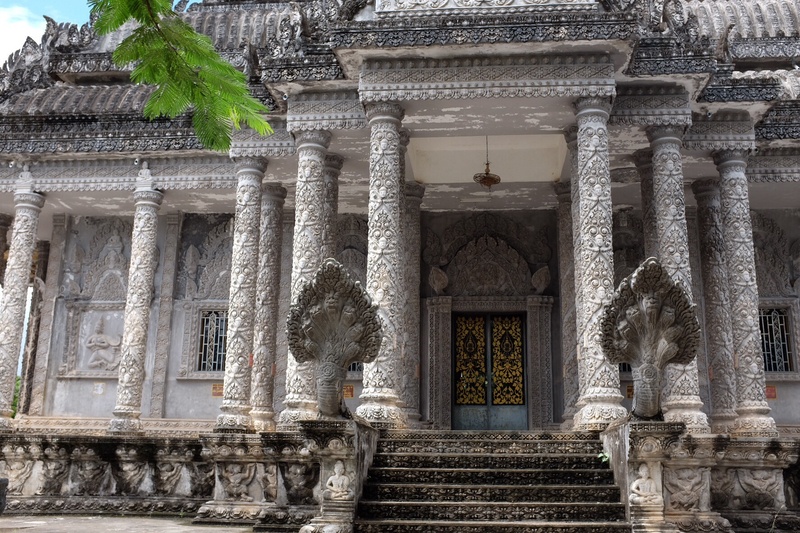 Kampot is a city of about 40,000 people, located on the Kampot River, a few miles upstream from the Gulf of Thailand. The city is famous for its peppercorns and durians. Yes, that’s right, durians – the notorious fruit that has such a strong odor that it is banned on most forms of public transportation. 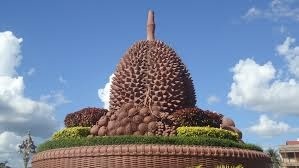 A massive sculpture of a durian is featured in the main plaza, rather than that of a war hero or a civic leader. We’ll have lots more to say about durian in future blog posts. 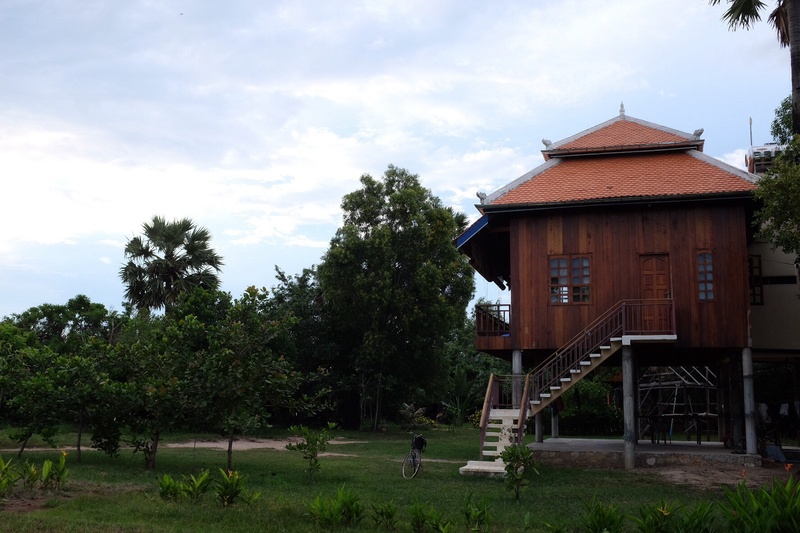 We’re staying at a place called Les Manguiers (The Mango Trees) where we have a house of our own overlooking the river. Our days begin at 530 am with roosters crowing and the deep putt-putt of fishing vessels that stream by as they return from a night of fishing in the Gulf of Thailand. And we’re usually settling into dinner as we hear the call of the same vessels as they head out for another night’s work. Time. We have a lot of it. We need to make some decisions on how to spend it, otherwise it might be overwhelming. 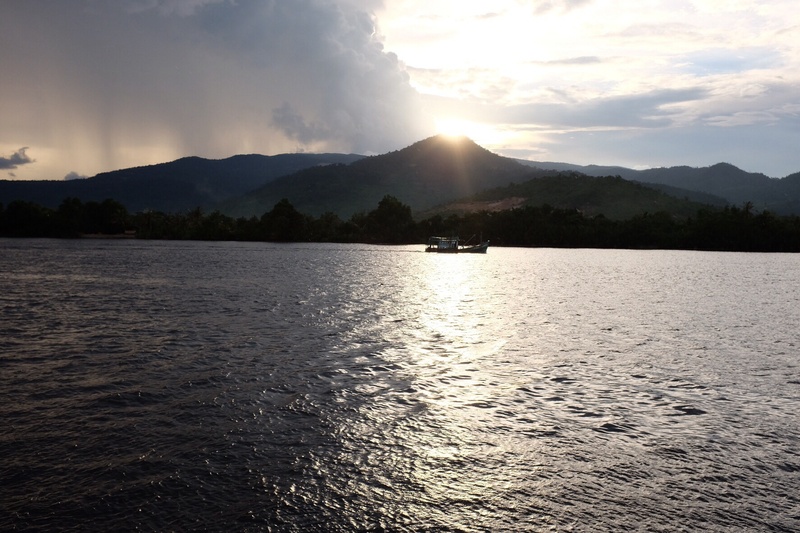 We’ll use Kampot as our base for the next two months and we want to establish a daily rhythm early on in our trip. A daily rhythm should help us establish a sense of belonging, set general expectations, and encourage the girls the girls to find resourceful and creative ways to fill the day. The things we’ll want to pay attention to in a typical day include exercise, school, eating, projects, excursions, new experiences and internet time. If we cover all of these things in a day, we should be in good shape. For exercise, we bike, swim, kayak and run. 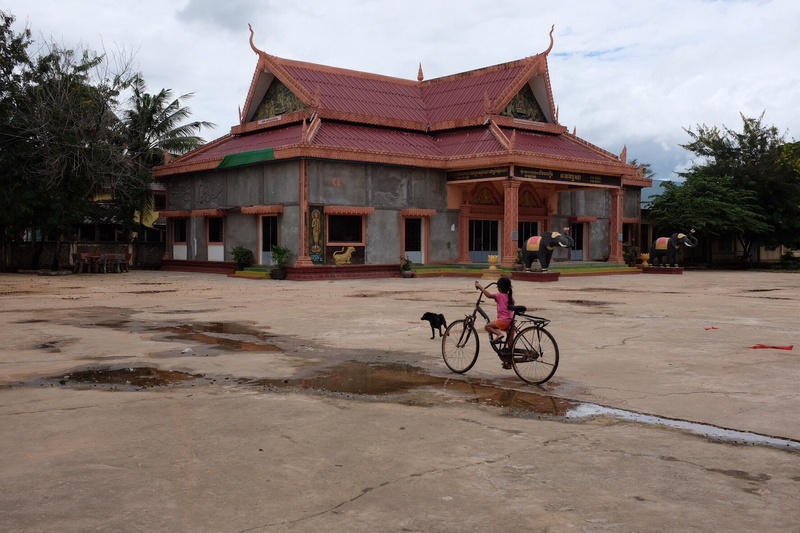 It’s taking a bit of time to get the girls accustomed to riding through traffic in downtown Kampot. Luckily, there are really only two busy streets in Kampot. We’re in town usually once a day for groceries. As for swimming, it’s hot here, usually 30C at nighttime, and nothing is quite as refreshing as jumping into the water. We usually swim in the mornings and afternoons. The river is about 250m wide and the current is moderate. There are kayaks available anytime. The run to Kampot’s old bridge is about a 6k m trip; good to do early in the morning before it really heats up. The girls are in grade three this year. We’ll typically set aside an hour in the morning or early afternoon to cover schooling. The kids are really keen about school! When the wind picks up in the early afternoon, the riverside becomes one of the nicest places to set up a classroom. This shot is of our riverside classroom during a math lesson. I’ll write more about road-schooling (curricula, subjects, division of labor, expectations, etc.) the kids in a later post. Our house by the river has its own kitchen and we eat a lot of meals at home. This is really important for us and one of the best advantages of having our own place. It frees us from ordering breakfast, lunch and dinner from restaurants and opens up the possibility of cooking our own meals with local ingredients. It also lets us involve the kids in planning, buying food and preparing meals. The first trip to the market freaked the girls out; a combination of biking through the busy streets and the crush of people. But by the second trip to the market (The following day), the experience had mostly normalised. Projects tie in nicely with the learning curriculum. 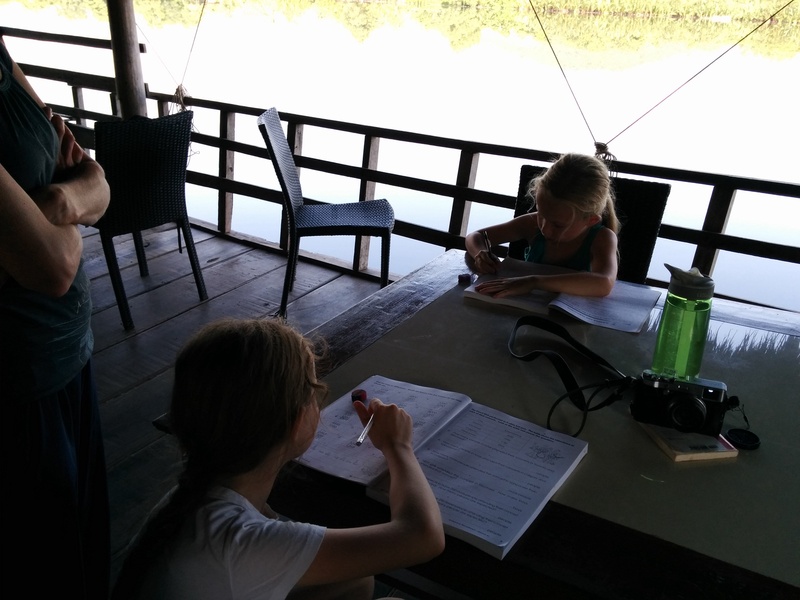 The girls did some research on common birds in Cambodia. Ida likes to write a couple of “quick facts” about the things she reads up about and Saga is crazy about math (she gets it from her mom). Tomorrow we’ll do some research to learn the Olympic sports in which Cambodia competes [Saga’s idea]. Trips. We take them to town to get groceries. 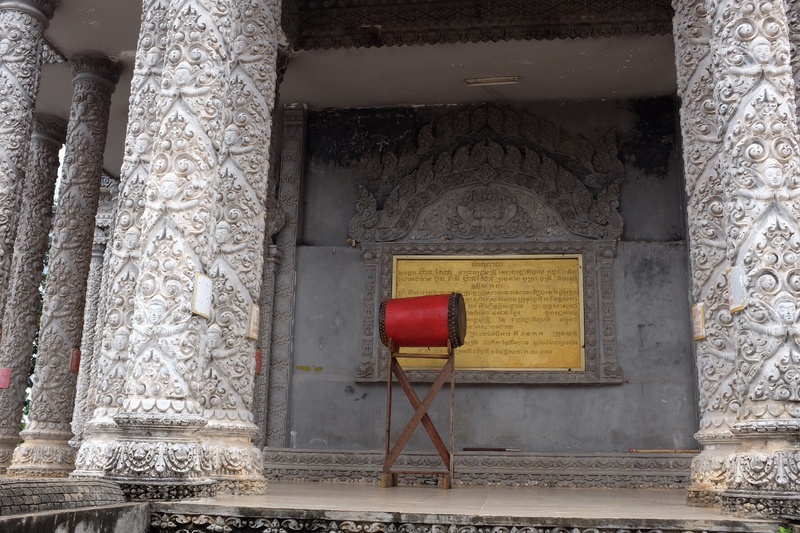 There are pagodas a few kilometres away along the river. A wholesale peppercorn centre is nearby. THere’s a decent espresso cafe in Kampot. All of these places are accessible by bike and the outings break up the day nicely. 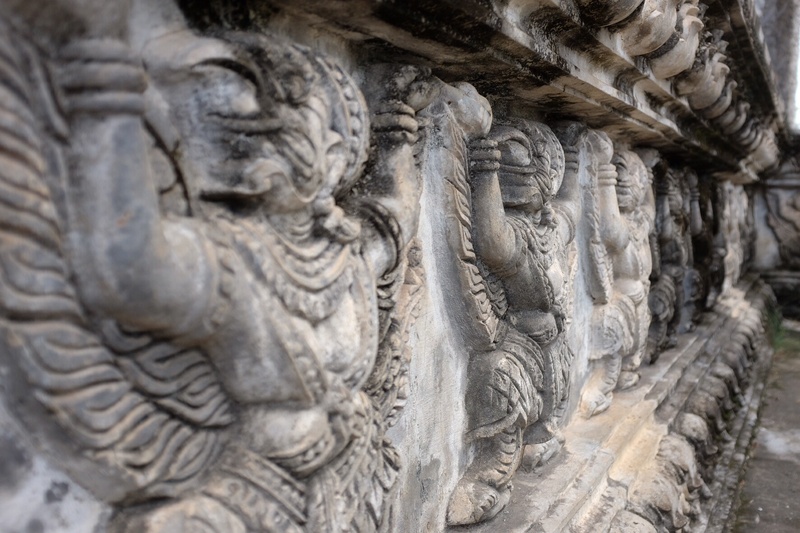 Later we’ll go to Siem Reap to visit Angkor Wat. 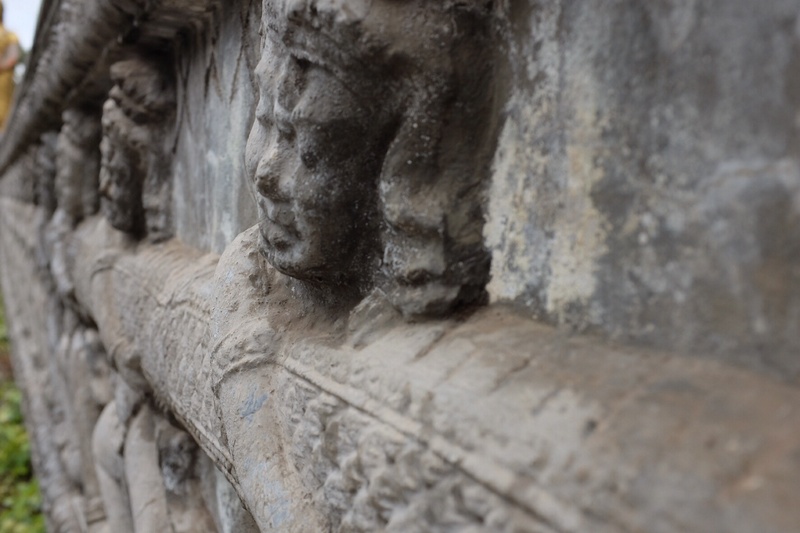 We’ll need to leave Cambodia to renew our visa likely in Vietnam. We usually have internet time before dinner. The girls have an ongoing game of Words with Friends (similar to Scrabble) with their grandparents. They use social media to connect with their classmates back home. And that’s the structure of our days. It’s going well.